It’s important to understand the past, since it determines in great part what our society has become. Archaeology is often the only tool available for discovering our most distant origins. The archaeologist’s role is to observe authentic facts and then interpret them. In brief terms, it is the acquisition of knowledge about the past through material remains left by various human occupations for which written sources are sometimes lacking, silent or partial. These remains may lie buried underground, be visible above ground or lie underwater. Any activity that has left traces of its past existence is potentially a subject of archaeological research. Archaeology provides a key to understanding fundamental questions asked by humans about their origins, history and values. The traditional image of an archaeologist painstakingly removing earth with a trowel or brush is no longer totally exact. Archaeologists can also be seen busy at work, with boots in the mud and wearing a hardhat, on vast construction sites. The myth of the archaeologist as a treasure hunter needs to be put to rest definitively. Archaeologists are interested in any trace left by humans, no matter how small it may be. 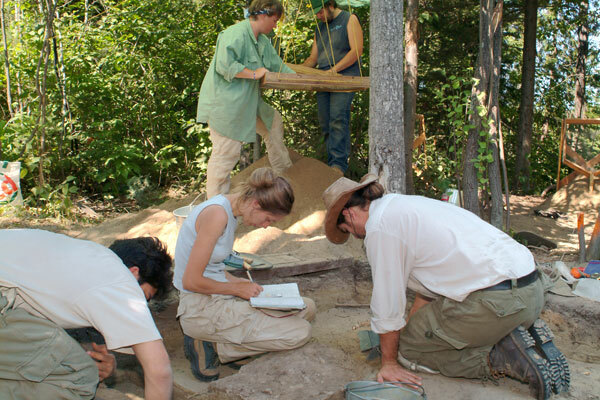 Using rigorous methods and analyses, they seek to understand how these humans once lived. Archaeologists rarely work alone. In the field and in the laboratory, they are always surrounded by a team of assistants and archaeological technicians that they direct somewhat like a conductor conducting an orchestra. Photo: Archéo-Québec, Jacques Beardsell. Archaeological digs in Dégelis.